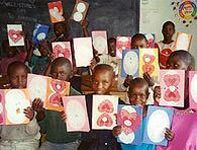 Rwanda has one the highest percentages of orphans in the world. As dramatized in the film Hotel Rwanda, the 1994 genocide resulted in mass killings of more than a million people and displacement of another three million. Children were victimized on a scale not seen since the Holocaust. Many saw their family members tortured and murdered. Half a million girls were systematically raped. The violence continued to flare up in the years that followed, resulting in even more killings and displacement. HIV/AIDS has also ravaged the adult population, further decimating the remaining social safety net. The result has been nearly a million orphaned and abandoned children – almost one out of five of the nation’s total child population. Many of these children are left to fend for themselves and their younger siblings. It is not unusual to find 9-year-old “head of household” scavenging on the streets in Rwanda’s cities. These orphaned children are extremely vulnerable to further neglect, abuse and exploitation. In this horrific environment, the Imbabazi Orphanage has provided refuge and hope to hundreds of traumatized Rwandan children. 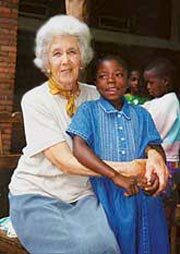 Imbabazi, which means “a place where you will receive all the love and care a mother would give”, was established by Rosamond Carr in response to the 1994 genocide and has been supported by Children’s Hunger Relief Fund since early 1997. 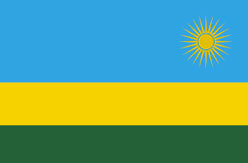 In the midst of the carnage and chaos of Rwanda’s last decade, Imbabazi has provided food, clothing, medical care, education and, above all, love and safety to hundreds of devastated children. The horror that these children have survived is unimaginable to most of us. Many of them came to Imbabazi as “walking dead,” unable even to speak because of what they had seen and suffered. Under the loving care of the staff – and the support of donors like you – they have been given a place to heal. It is a cause for celebration when these precious children learn to smile again. It takes approximately $30 a month to provide "a mother's care" to an abandoned Rwandan child. It takes so little to make a life-saving difference in the life of child like Ndatimana. Your donation of $25 or more can help Imbabazi provide “a mother’s care” to more of these abandoned children. Please help us help them. In an atmosphere of love and security, Ndatimana is learning to smile again. It is with both sadness for her loss and deep joy for her life that we mark the passing of Rosamond "Roz" Carr, internationally renowned humanitarian (she was featured in several major movies and books) and project partner with Children's Hunger Relief Fund. She was 94.